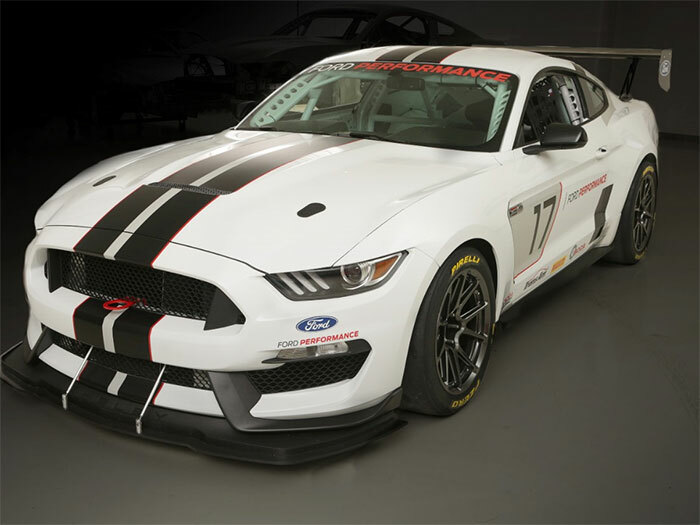 Ford Performance has unveiled a new race car that is aimed at racing in Trans AM, NASA, and SCCA club racing events. The car is called the Shelby FP350S and it is packed with racing and safety tech to make the car competitive right out of the box. The FP350S has a 5.2L 4-valve V8 engine under the hood. The car has a modified unibody chassis that has seam welding and a 6-point FIA-compliant roll cage. Ford Performance fits the car with a performance oil pan and oil cooler as well as a Tremec 3160 manual transmission with integral oil pump, shifter, and 3.73 final drive ratio. The exhaust system is a racing unit and the car is fitted with racing electronic steering calibration and a racing brake system. The wheels are 19 x 10.5 front and 19 x 11 rear units and forged 18 x 11 racing wheels are available. Other features include FIA-compliant racing seats, MOTEC data acquisition gear, and a racing aero package.